Wall plate with Spring Clip Speaker Terminals. Clean up your Stereo or Home Theater sytstem's appearance with these simple to use wall plates. 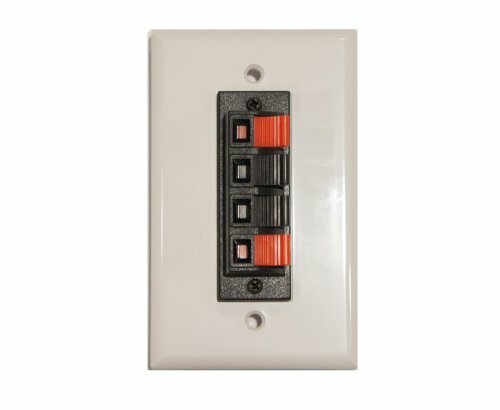 You can either mount these to a electrical style box (new or old construction style) or use the included mounting hardware for drywall installation.